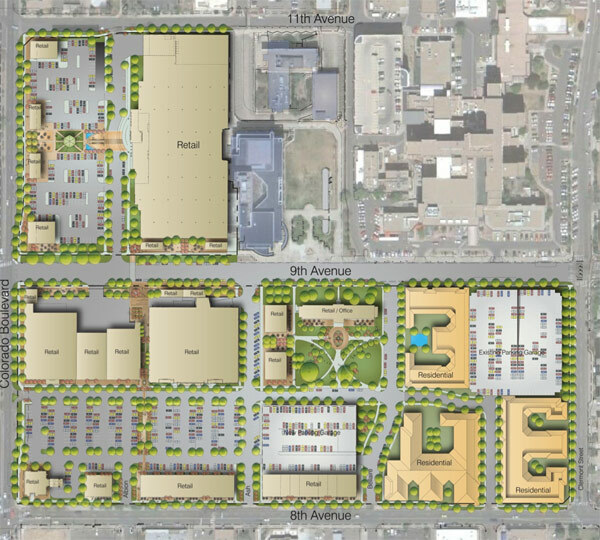 The first 2012 meeting of the Colorado Boulevard Healthcare District Board on January 5 was dedicated to preliminary discussion of the design guidelines for the site. There was an informative presentation by the consulting architect (SEM) and a senior city planner. This was an opportunity to get up-to-speed on the meaning of relevant design concepts and statements. The stated intent for 9th and Colorado is to create a pedestrian-friendly, urban neighborhood center having a “visually creative” built environment. Five categories of standards and guidelines were discussed, including site design, building design, signs, lighting, and streetscape. There will be sufficient sidewalk width and “amenity zones” aimed at producing a “grander pedestrian experience” along these streets, especially 8th avenue. During the Q&A citizens wanted to know about the use of sustainable building materials. The guidelines will encourage the developer to use materials that are both durable and sustainable. A preference was expressed for leaving the 8th and Colorado corner (extreme SW corner of the map) open instead of filling it with a small retail store. Questions were also asked about what the Big Box store between 9th and 11th will be like. 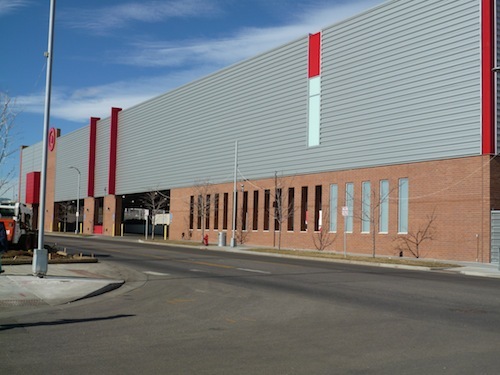 Answer: it will obey the same design guidelines as the smaller retail units, with space for unloading trucks located within the building and a full level of below grade parking. Concerns were expressed about noise and whether there would be any noise restrictions (No). A citizen wondered how inviting the planned patio fronting the 8th Avenue “restaurant row” will really be, given the amount of traffic on that road and the best efforts to disperse traffic along multiple paths. Response: it’s an urban environment!! Let’s hope it doesn’t come to this (see here for alternatives). The next meeting of the CBHD Board will be on February 2, 4:00 pm, Molly Blank Conference Center, National Jewish Hospital.